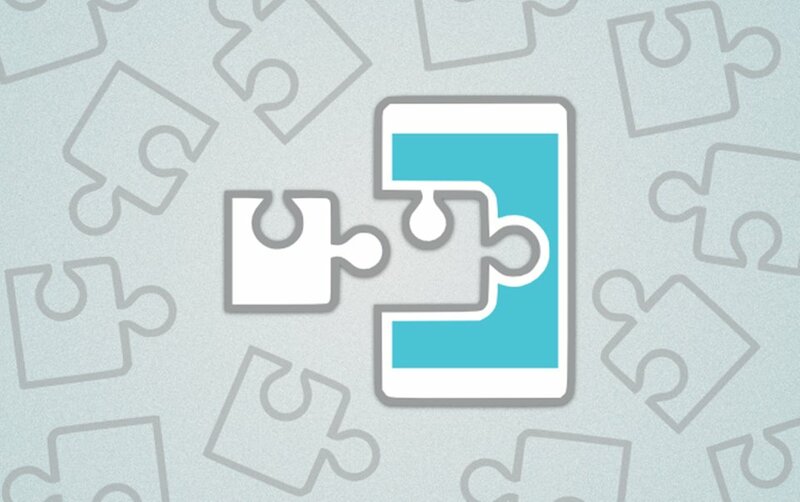 In recent times, android smartphones are integrated with touch screen keyboard. However, these keyboards aren’t good for gaming. This is more reason users get an alternative and using Bluetooth game controller for android is the best. As known, game controller is an entertainment device that serves as an input for a video game. This controller is used to control the movement of an object or character in a game. 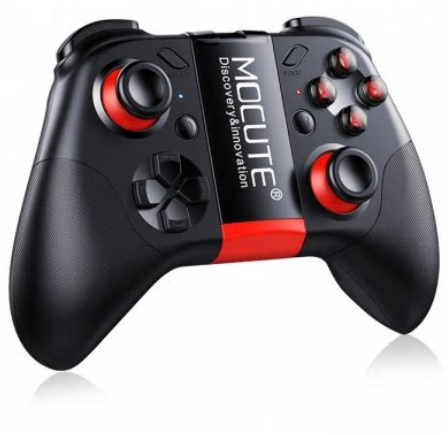 When we talk about Bluetooth controllers, we refer to wireless game controllers that we can connect to our device through the use of Bluetooth connection. I’ve made use of so many Bluetooth game controllers for android as I’ll be recommending the 10 best Bluetooth gamepad you can use on your android device. Believe me, at the end of this article, you should’ve seen a choice to purchase. The list highlighted below, their numbering is not based on the best to the least best or vice versa. These are the top-best and you can make a choice from any. All Bluetooth controllers highlighted below is the best. This is a wireless android controller that can be operated in different platforms including android. 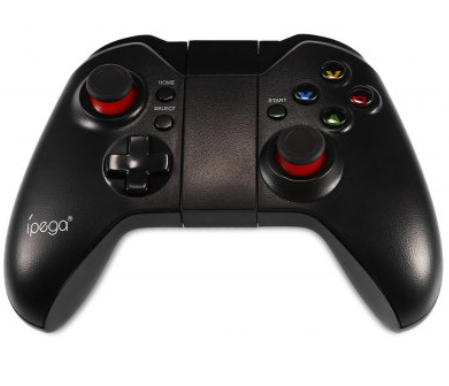 The iPEGA Bluetooth controller supports a Bluetooth 3.0 technology, dual simulative joystick and ergonomic layout. This makes it easy to hold with quick response on operation. This wireless Bluetooth controller features a 300mAh Li-ion battery, so you get to charge with USB cable. FLYDIGI Bluetooth android gamepad is wireless controller that supports experience which includes air mouse, motion sensing and real shock. The gamepad comes with detachable and collapsible bracket that supports smartphones between 3.5 – 6.8 inches. The FLYDIGI features the Bluetooth 4.0 technology and also a 2.4G wireless USB support. It also comes in with a 300mAh built in battery with about 80hrs work time and 3 to 4hrs charge time. This is one of my favourite Bluetooth game controllers for android. It supports multimedia functions like the volume + volume -, up, down, pause and play. It also features a high precision rocker with smooth operation and has a super long expansion function with adjustable scale. This controller supports Bluetooth v3.0 technology and comes in with a 380mAh battery with 10hrs work time and 2hrs charge time. 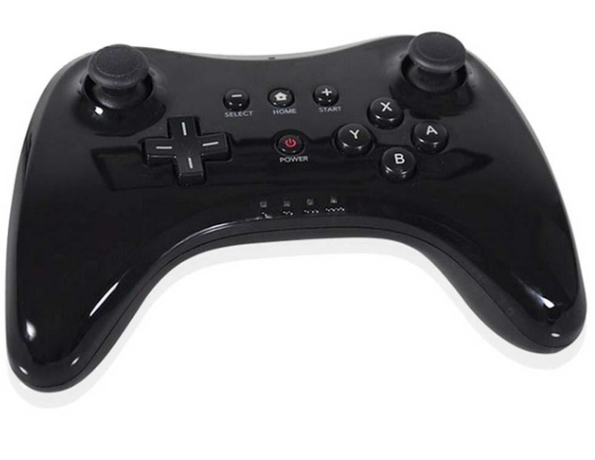 This is a powerful wireless Bluetooth android game controller with transmission distance ranging from 2 – 8m. However, this Bluetooth controller comes with a rechargeable lithium-ion battery of 400mAh capacity with up to 30hrs work time. In space of just 2 -3hrs, you can recharge its battery fully. The game controller also features the v3.0 of Bluetooth technology. 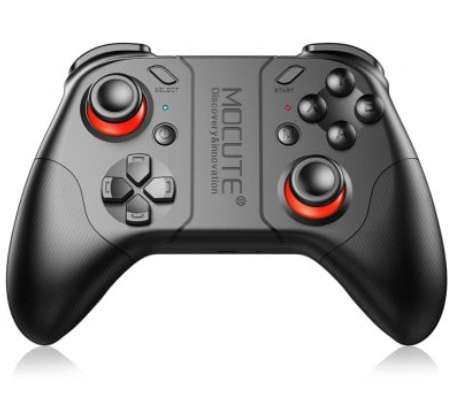 This is the successor of the MOCUTE 053 Bluetooth game controller with a more advanced functionality. This features most components available on the predecessor version but what’s changed is just transmission distance, responsiveness and also designs. This is my best Bluetooth game controller. GameSir features a 32bit MCU chip, v4.0 Bluetooth technology, 2.4GHz wireless frequency and an adjustable holder ranging from 3.5 – 6 inches for smartphones. The device comes in with a 600mAh battery capacity with up to 18hrs work time and 2hrs on charging. This gamepad is also integrated with a highly sensitive and accurate buttons which is added with a dual vibration motors alongside LED indicator. With this gamepad, you get the best gaming experience. 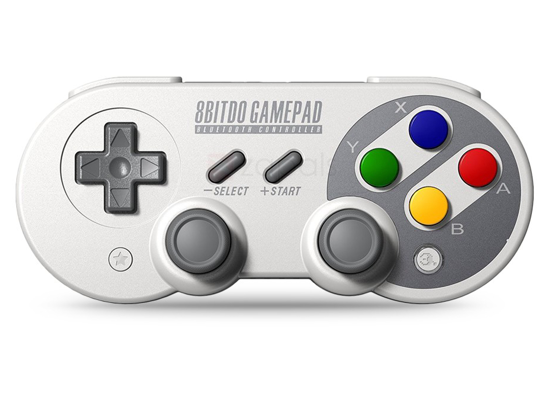 8Bitdo is another sophisticated Bluetooth game controller for android featuring a very unique design. It comes in with a retro design and a nicely placed original pushing button. This is integrated with an upgradable firmware for expansion of functions. The 8bitdo Bluetooth controller is integrated with a rumble vibration and motion control alongside a built-in gyroscope and triaxial accelerometer. This makes gaming experience so realistic. The battery capacity featured on the game controller is 500mAh with up to 16hrs work time. Also, supports custom button for turbo function. 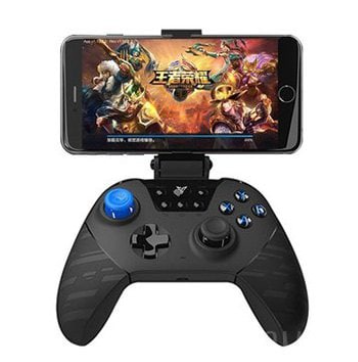 This PXN wireless Bluetooth game controller for android features a standard game key value supporting any android with operating system above 4.0. 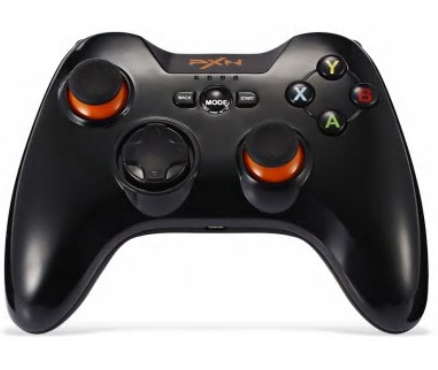 The android gamepad controller also features an X-input and D-input dual mode which is supported on computers. This gamepad is also built on a highly efficient lithium-ion battery with about 550mAh capacity lasting for as long as 20hrs when fully charged. The charge time of this game controller is about 3 to 4hrs. 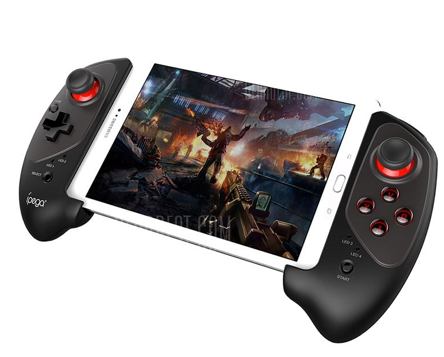 I think, this android gamepad would go a long way for it’s users. This is a very classic Bluetooth controller with a very classic design. The game controller features vibration, allows seamless control and integrated with a dual analogue joysticks and ergonomic button layout. The gamepad is very comfortable on hold, which also helps in gaming experience and lets users operate easily and quickly. The game controller also features a 550mAh battery capacity with about 6hrs work time. This is just a top-notched joystick for android devices. 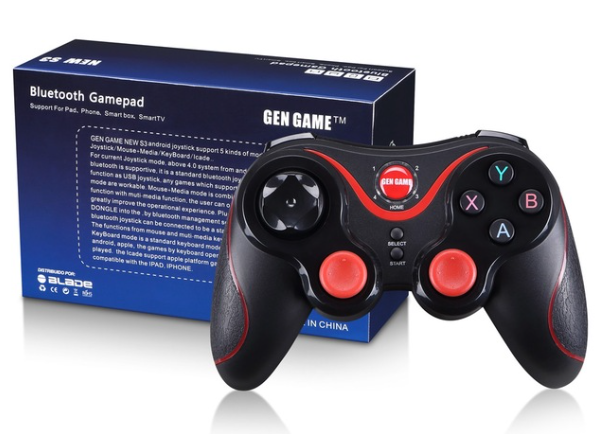 This is a very affordable game controller which is tagged as the new breed gamepad. 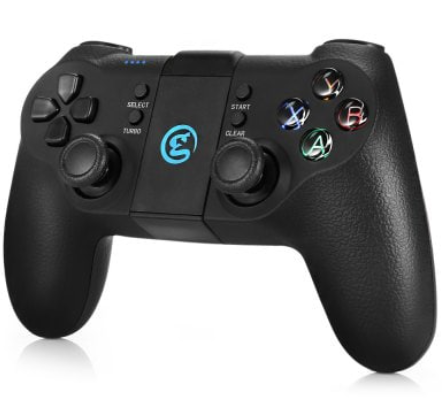 This Bluetooth controller is very compatible and features a lightweight design. 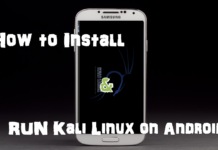 It supports android device OS v3.2 and above. This wireless controller is integrated with a v3.0 Bluetooth technology with a 10m wireless transmission. However, it comes with a smart power-saving mode which enhances the battery life span of the controller. 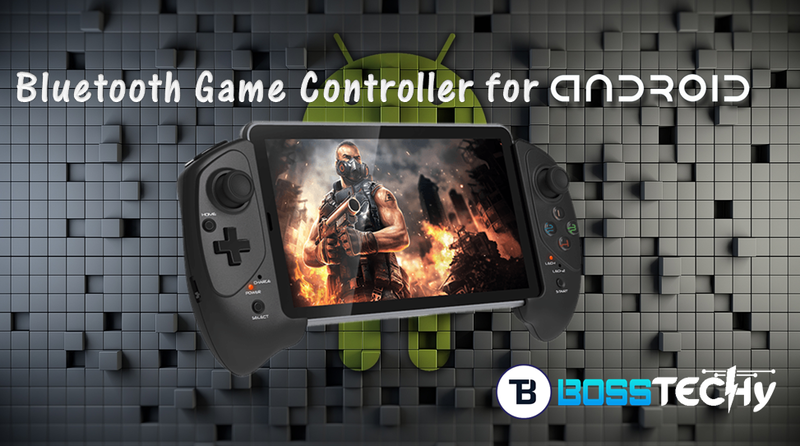 This android game controller is just awesome and enhances the best user experience. That’s all for my very best Bluetooth game controller for android. I believe that after going through the highlighted list, you would definitely end your search for Bluetooth game controllers. 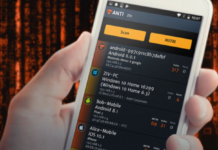 Most of the game controllers listed above doesn’t just work on only android but also iOS, Tablet PC, windows computer and even smart virtual reality. 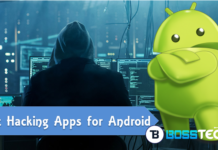 Don’t forget to check out the top 10 most addictive games for android.